You may know from what we say that we offer comprehensive preventive dental care. 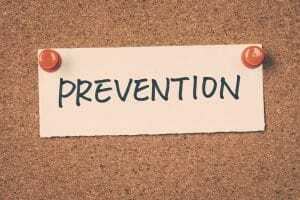 However, when you hear us talk about prevention, you may not really know what we mean beyond the fact that you should be brushing and flossing at home. So, aside from our recommendations for your dental hygiene to protect your oral health, you wonder: What makes our care so “complete” and thorough? Our Celina, TX team would love to help you better understand the way we protect your smile with a quick Q&A session! Question: When you talk about preventive dental care visits, what do these entail and how do they really help me keep my oral health safe? Answer: Your preventive visits include two primary parts: You’ll receive a dental cleaning. During this process, we will remove plaque and tartar that have accumulated on your teeth. 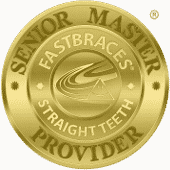 We will also provide you with a teeth polishing! The second part of your visit include a dental checkup. This is a very thorough exam that allows us to have a comprehensive understanding of your smile health. If your oral health requires any type of treatment or improvement, we will offer our diagnoses and recommendations. Question: I know that you offer bruxism treatment but I don’t understand how this is part of preventive dental care. How does it “prevent” something if it’s already affecting me? Answer: The goal with something like bruxism is essentially to reverse it and to prevent damage. Bruxism is when you grind or clench involuntary. A particular type of oral appliance can help stop this and can help you avoid injury. Question: What is sleep apnea treatment all about? I see it quite often listed as a preventive dental care service but I don’t understand what it is or what it has to do with my oral health. Answer: In part, the soft tissues in your mouth and your tongue may block your airways as you sleep. Your throat muscles will also collapse. This creates a disorder called sleep apnea, during which tissues obstruct your breathing. We help prevent this obstruction with a special mouthguard that keeps tissues from blocking your breathing. When you’re ready for the complete preventive dental care that you need for a healthy smile, come in to see our team! Get the information and treatment you need in Celina, TX by contacting Celina Family Dentistry to schedule a visit today at (214) 851-0130.